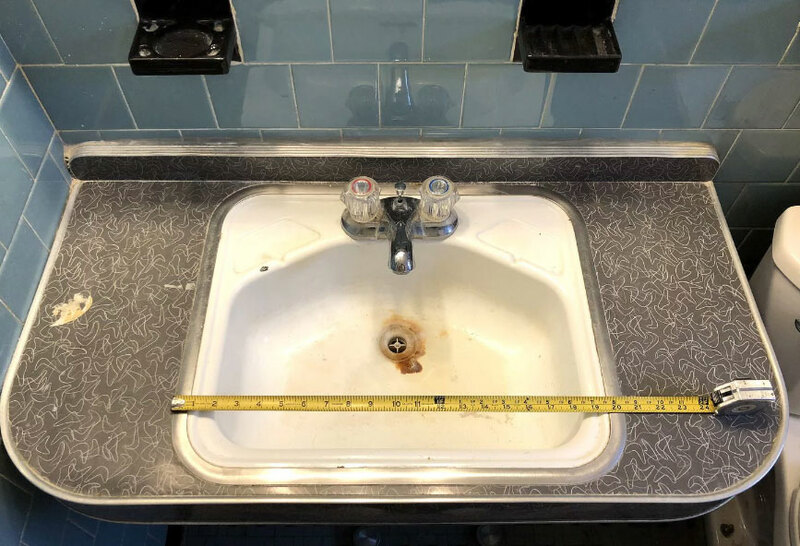 Heffrons was featured in a Washington Post article which answers a readers question regarding refurbishing a modest, mid-1950s bathroom sink. "Heffron’s also offers custom fabrication of metal-edge countertops, a good option if you don’t want to tackle fabrication yourself". Be sure to check out the whole article by clicking the image below. Take a sneak peak at an article written by Amy Bleier Long for the January/February issue of CNY Magazine. 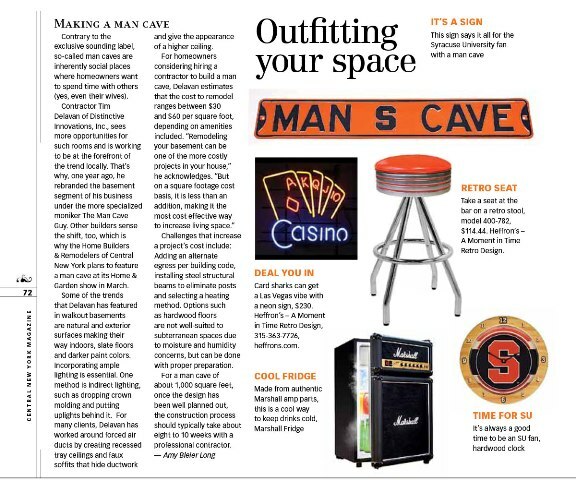 She highlights the popularity of Man Caves and how they "make a cost effective way to increase living space". She also highlighted a couple of our items such as the Card Sharks Neon Sign and our 400-782 Retro Stool. Click the image below to see more. Take a sneak peak at an article written by Patrick O' Donnell for the June/July issue of Indulge Magazine. He mentions "if theres work to be done, Heffrons.com has some incredible desks made from car front ends." and mentions that his favorite Heffron's product is a blue and white '55 Chevy Bel Air car sofa. Click the image below to read the highlights of the article. 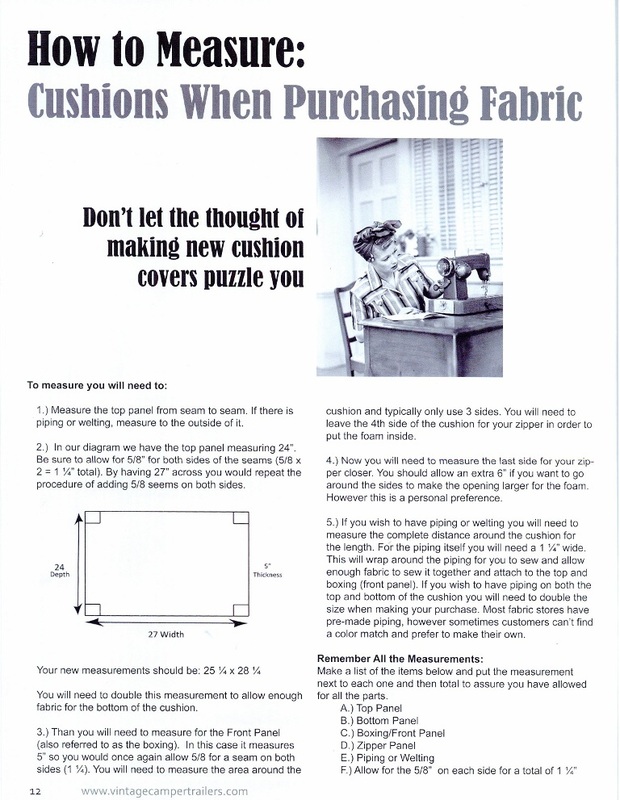 In this issue of Vintage Camper Trailers, Heffron's A Moment in Time Retro Design published an article explaining how to measure and plan your retro Vinyl for any cushions you plan to redeocrate. With photos and step-by-step instructions we've received great feedback on how helpful this was to their readers. In January, Vintage Camper Trailers published an article written by A Moment In Time Retro Design. 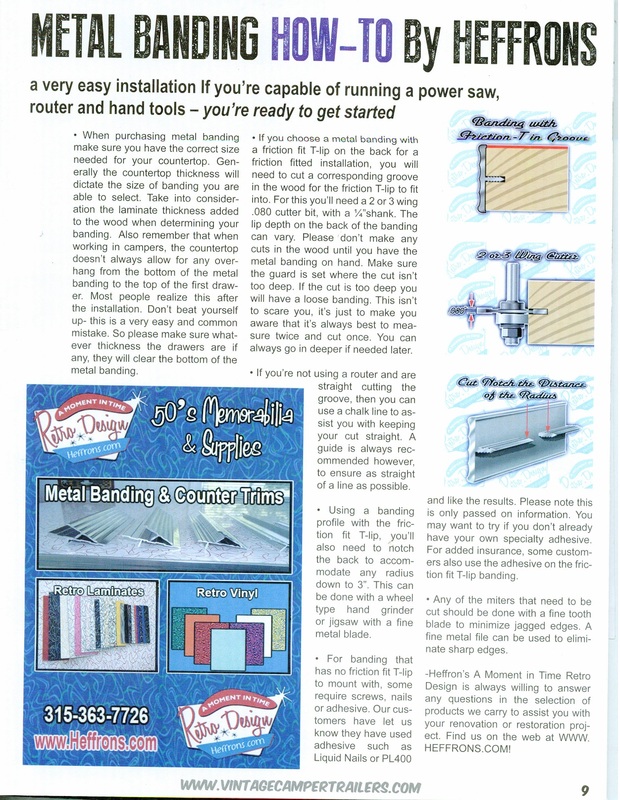 The article highlights how easy it can be to install Metal Banding for yourself and walks you through how everything comes together. As always Heffrons.com becomes the go-to place for Metal Banding. Click the image below to read the whole article. In the latest newsletter from the popular blog Vintage Camper Trailers, Heffron's A Moment in TIme Retro Design was the key focus. Vintage Campers talked about our large collection of Retro products from our Metal Banding, Vinyl, Laminates and more! They also talked about our new website: www.Retrospaces.com. To see the entire Newsletter from Vintage Camper Trailers: Click Here. Syracuse, NY -- If your moment in time screams “1950s diner,” pull up a stool and check out the checkerboard, square. In Oneida, Gary Heffron’s side-by-side businesses are turning people’s basements, kitchens, sheds, spare bedrooms and even mobile homes into themed attractions. A big theme is, well, 1950s diners. “And we have elaborate, 1950s retro products that are seeing sales really skyrocketing through the roof,” said Heffron, owner of Heffron’s General Contracting Inc. and his newer design shop, A Moment in Time Retro Design. “We’re being pushed to the limit with business from as far away as Germany, the UK. We’re getting business daily from throughout the States, and a lot from Canada.” What’s the deal?